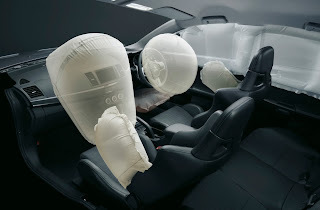 日本自動車デザインコーナー 「Japanese Car Design Corner」: Airbags may not work in 1 out of 100 cars?! According to a report published by Response, an investigation involving 100,000 vehicles (Lotus was also involved in the investigation) showed that fault codes related to SRS were logged in 1.29% of the vehicles and ABS faults in 5.72% of them. This means that in approximately 1 out of 100 cars the airbags may not work properly in the case of an accident!